Palestinian Authority Faces Blowback Over Allegations Of CIA-Backed Wiretapping : Parallels An ex-Palestinian intelligence chief and an attorney filed complaints against the Palestinian Authority after an anonymous document alleged the government tapped their calls for the U.S. spy agency. Palestinian President Mahmoud Abbas reads from a placard during his meeting with the German Foreign Minister at the Palestinian presidential complex in the West Bank city of Ramallah on Jan. 31. The Palestinian Authority government is facing allegations that it is collaborating with the CIA to spy on the phone conversations of senior Palestinian figures, including adversaries and allies of Palestinian Authority President Mahmoud Abbas. The Associated Press reported on Tuesday that a former Palestinian intelligence chief and the head of the West Bank bar association are suing the Palestinian Authority, convinced they were among those targeted. The alleged wiretapping program is detailed in an anonymous, 37-page Arabic document making the rounds among Palestinians in recent weeks, largely on the mobile messaging platform WhatsApp. Titled "My Family: I Declare My Repentance," the document is a confessional by an anonymous writer claiming to be a former Palestinian security official. The document is dated Jan. 10. In it, he says he quit his job and is now blowing the lid off of the alleged CIA-backed spying program, in part to protest Palestinian cooperation with the United States. President Trump's recognition in December of Jerusalem as Israel's capital has angered Palestinians, who claim east Jerusalem for the capital of a future state. "Trump's decision on Jerusalem gave me one more reason to leave this dirty job that we and those we call 'our American friends' do together when they come to our offices!!" the document says. The anonymous author claimed that he began to secretly collect evidence of the eavesdropping in late 2017, when he said officials began unfairly listening to the calls of Palestinian lawyers after they protested the arrest of their colleague. NPR could not independently verify the claims. In a statement on the official Palestinian news agency Wafa, Palestinian officials dismissed the claims as a "conspiracy." The CIA declined NPR's request for comment. Thousands of Palestinians have been targeted without proper judicial oversight, the document alleges. The text includes several alleged transcripts of phone conversations between officials, including those of former Palestinian intelligence chief Tawfik Tirawi, who told the Associated Press that he believes the document is authentic. Tirawi called it a "gross violation of personal freedoms and blatant assault on the Palestinian leadership." The anonymous document claims that in early 2013, a Palestinian official asked the CIA to help fund a wiretapping campaign in the West Bank and Gaza Strip to "combat terrorism." It claims the CIA-funded program began in 2014 and that surveillance equipment from Virginia-based company TeleStrategies is used to tap phone calls and text messages. The file claims Palestinian officials share information they glean from tapped phone calls with CIA officials. According to the document, Palestinian political and militant figures, including high-ranking officials in Abbas' own political party, have been targeted. Nasser al-Laham, editor in chief of the Palestinian news agency Maan, as well as judges and lawyers, were also allegedly wiretapped. The allegations did not come as a surprise to many Palestinians. Officials have admitted to wiretapping in the past, and the CIA has had a long-standing relationship with Palestinian security officials. Since the establishment of the Palestinian Authority in the 1990s, there has been continuous cooperation between U.S. intelligence and Palestinian security officials. Palestinian officials have shared information they gather in the region, including about Palestinian militant activities. The U.S. has also provided the Palestinian Authority with training and technical assistance. 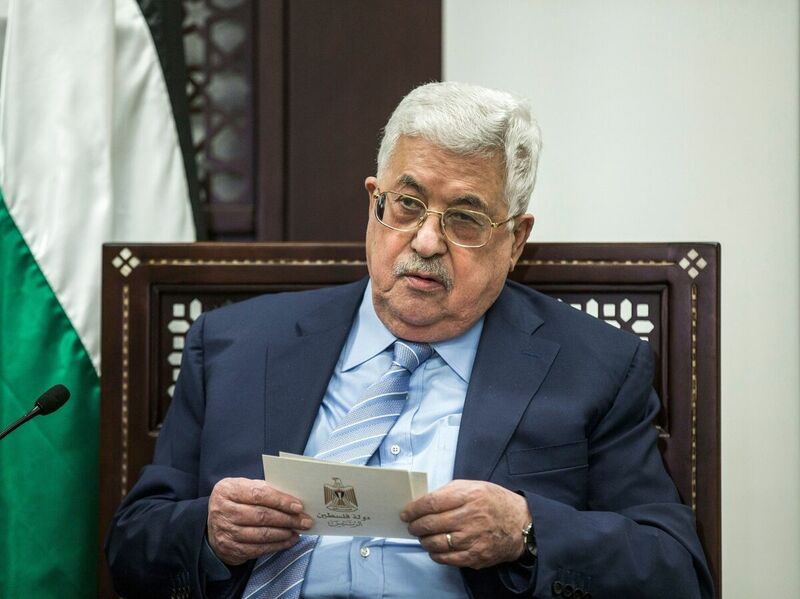 If the allegations are true, the wiretapping program reveals how Abbas relies on the CIA to help solidify his grip on power in the West Bank, Rumley said.